Unai Emery has told Julian Draxler that he is not a part of his plans at PSG anymore, according to reports. 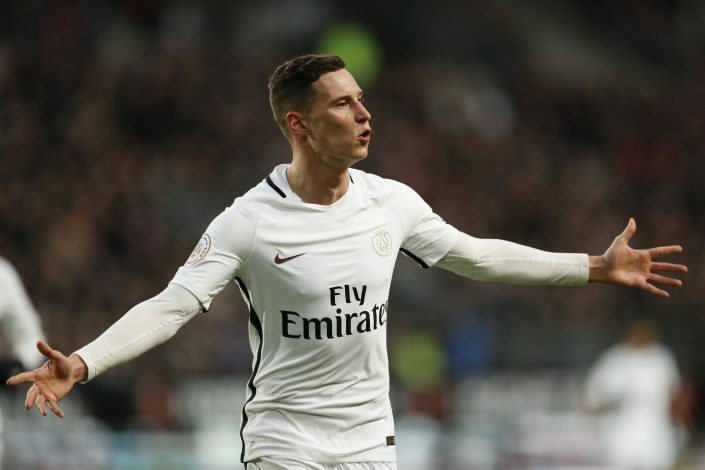 It has not been long since Julian Draxler joined Paris Saint-Germain back in January this year, yet he looks on his way out of Parc Des Princes already. The arrival of Neymar in a world record move has complicated the future of the ex-Schalke player, who didn’t even make the bench for the French club in their last league game. PSG paid €40 million to Wolfsburg for Draxler 7 months ago, but now they don’t feel that the World Cup winner is good enough to represent their project anymore. Apparently, Di Maria is the one being trusted by the Ligue 1 giants to play alongside Cavani and Neymar in a new look attack for them. PSG have also loaned out Jese to Stoke City in the Premier League to free up some space upfront for them. And as per latest reports, Draxler is the next player in line to leave the club before the transfer window closes. The German forward always looks on the move, as he has already played for 3 clubs in last 2 years. Still, there are a number of clubs in England who are interested in signing the player, with Arsenal and Liverpool being linked with Draxler on numerous occasions over the last few years. If a transfer materializes, it would surely be a cut price deal because of the Parisian club’s intent to get rid of the player.